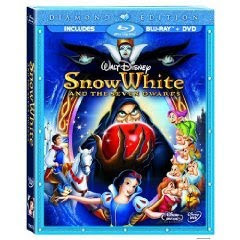 and use code snowhite to receive $10 off. The final price ends up being only $14.99 and is eligible for FREE Super Saver shipping! The DVD will be released on 10/6/09. I’m thinking… CHRISTMAS!! Use your amazon.com gift cards you earned through SwagBucks and you’ll pay nothing out of pocket. Now that is sweet!